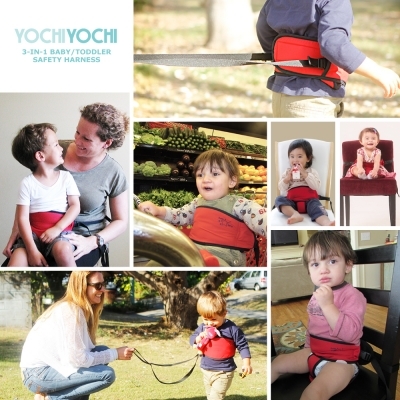 Yochi Yochi is a 3-in-1 baby/ toddler harness. Use as a portable high chair/ a travel high chair/ a space saver high chair. 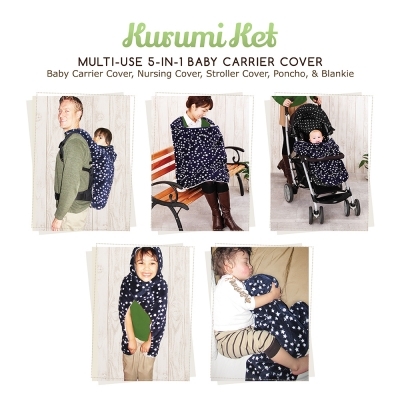 Or, use it as a shopping cart safety strap or a walking harness to keep kids close in crowded areas. Great versatility. Looks well constructed and safe. I like how it has so many ways to use it.